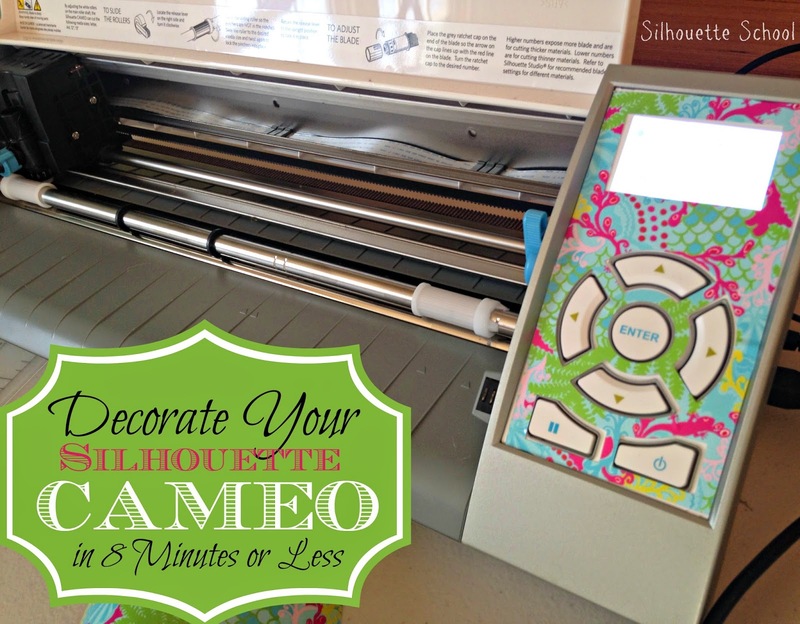 A few months ago I share a Silhouette tutorial on how to customize the control panel on your Silhouette CAMEO and I got a million follow up questions about doing something similar for the CAMEO 2. Unfortunately, unlike the original CAMEO it's not nearly as easy because there's no CAMEO 2 control panel shape in the Silhouette Studio library. However...using the power of PixScan and tracing I have created one so no one will be left out and everyone can customize their machines - even a CAMEO 2! Woop Woop! Here's the deal and some things to think about....the original CAMEO has a plastic-y cover sheet that holds the custom control panel shape in place so you can cut it on paper for super easy removing and swapping as your mood of the season changes. The CAMEO 2, because it does not have any buttons, does not include this same protective cover. That means whatever you cut the CAMEO 2 control panel shape on will have to have some kind of adhesive on the back to stick to your actual machine. Consider this your fair warning! If you choose to use vinyl, I would HIGHLY suggest you use indoor/removable/631 vinyl for this so you can remove it without leaving any adhesive behind. Other options that I would suggest you test first to make sure no adhesive is left behind. The most important thing to remember however is NOT to re-size the control panel shape - it's perfectly sized to fit the CAMEO 2 - so just open, cut, apply. 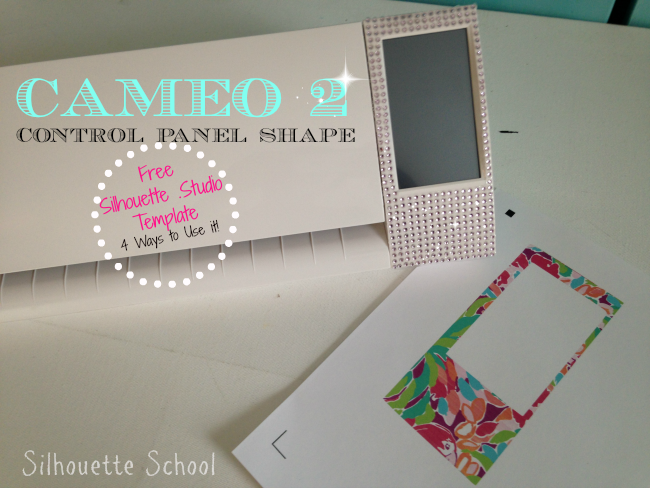 And here's the free CAMEO 2 Control Panel Shape Download for your personal use only! Thanks so much for the inclusion. Honored to work with many of the great bloggers in this group! Is it just me or does it drive everyone else nuts that the outer left side of the screen is wider than the right. Why, oh why, would they do that?!!! what about the "door"?!?! i want to bling mine out but am at a loss on how to measure and create a template!